As many book lovers, especially those who live in the western United States, know, the Tattered Cover is an incredible independent book store in Denver–or now 3 stores, actually. I have gone there my entire life. I remember sitting on the floor reading Gnomes in its first tiny location in Cherry Creek, after taking ballet at the Red Shoes up the street. And my shelves groan under the weight of books I have either purchased there or that other people have purchased for me as gifts. When my family is in Denver for Christmas, the Tattered Cover is always the last stop on my father’s and my marathon Christmas Eve shopping trip. (Below is picture of Neilson, my father, and I last Christmas in the store.) For all these reasons, I am especially excited that I will speaking about Harriet Hosmer: A Cultural Biography on March 22 at 7:30 at the LoDo branch of the store. 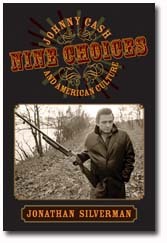 This fall, the University of Massachusetts Press not only published my book, but also Jonathan Silverman’s Nine Choices: Johnny Cash and American Culture. Jonathan and I both worked in the English Department at Pace University (he as a professor, me as an editor at the Harriet Jacobs Family Papers) at early stages of these projects, so it is is nice to seem them featured next to each other on the homepage for the press. I love Johnny Cash, so I can’t wait to read this one. You can find about events for the book on its Facebook page. 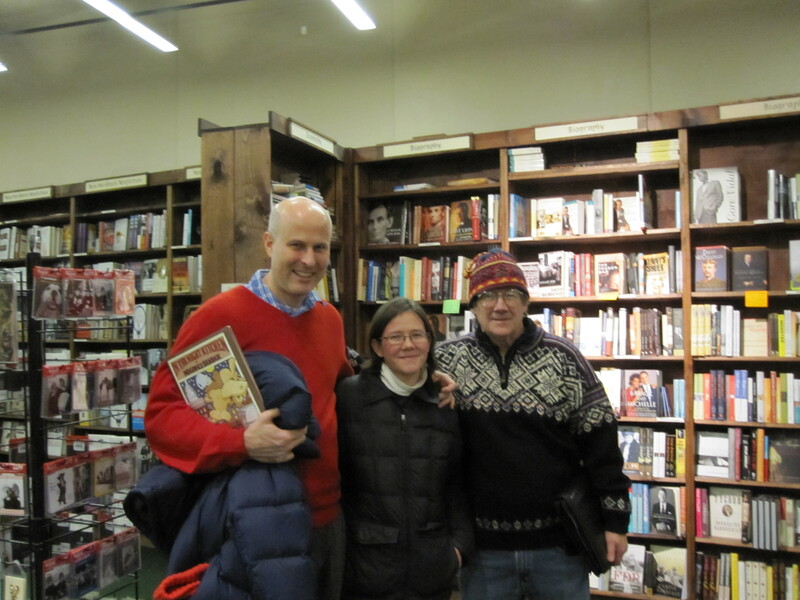 On Friday, I popped into the Harvard Book Store, a terrific independent book shop in Harvard Square (obviously) to see if it carried Harriet Hosmer: A Cultural Biography. I didn’t see the book in the American history section, so I dropped off a press release at the information desk. (A friend of mine who works in marketing for a big publisher had suggested I approach independent bookstores personally about carrying the book. It is not something I would have ever thought of–like many authors, I think, I just assumed bookstores would just magically know about it. But it was great advice.) Yesterday, I received a very nice e-mail from the head buyer for the store explaining that, in fact, the store did carry the book–in the art section! Which of course makes perfect sense. So if you are in the Cambridge area and want to buy a copy while supporting a local merchant, stop in. You can also order online from the shop. On Friday, on a research break, I happened upon the home where Harriet Jacobs’ ran a boarding house in the 1870s in Cambridge, Mass. As I was an associate editor of the Harriet Jacobs Family Papers, and had done quite a bit of research on the people who lived in the house while Jacobs’ ran it, this is quite exciting. There is a marker in front of the house which goes into great detail about her life. (For those who don’t know, Jacobs was born a slave in Edenton, NC, escaped to NYC, and eventually wrote the slave narrative Incidents in the Life of Slave Girl.) I had always meant to seek out the house, but my research trips are usually harried, and I had never made the time. It was great to stumble across it on my way to lunch. The house is located on Story at Mt. Auburn, in case you want to seek it out yourself. Thanks to everyone who came out to hear me speak about Harriet Hosmer at the Watertown Free Public Library on Thursday. It was great to talk about HH in her hometown. If you are interested in her and ever find yourself in the area, it is certainly worth stopping by and seeing the library’s Hosmer collection of sculptures and artifacts. Just a reminder that I will be discussing Harriet Hosmer at the Watertown Free Public Library tomorrow night (January 6) at 7:30 PM. The library owns several Harriet Hosmer sculptures and some other artifacts, including her sculpting tools. I’ve included a slideshow of some of the artifacts below; the image that serves as the header of this blog was taken in the library’s special collections reading room.